The best indication of how good a trainer the AT-6 Texan was/is can be seen by the fact that here we are forty years into the jet age and there are still countries around the world using the North America aerial classroom as first-line trainers. As recently as five years ago, major air forces still used it and it is the updating of those air forces which has pumped so many surplus T-6s into the American civilian market. Obviously, an aircraft is made up of many different parts. And just like a car, your aircraft can be improved or modified as needed – or as desired. The engine is the primary aspect of operation, and it’s important to have the best possible engine for your aircraft. While regular maintenance and care from a certified mechanic will keep your engine working properly for years, there may come a time when you want or need an upgrade. And when that happens, you’ll need to find the right engine for your aircraft. There are a few different things you’ll want to take a look at when choosing your engine to ensure you find the best one for your situation. In addition to pilot safety factors affecting flight operations, there are additional considerations regarding system operations of an airplane. System operations include restraint systems, fuel system operation and contamination possibilities, the operation of auxiliary fuel tanks, instrument power, alternate air systems, carbon monoxide, and turbochargers. In addition, pilots must understand what to do in emergency situations, such as in-flight fires or the opening of the plane’s doors while in flight. As pilots gain experience, one area of pilot safety where they often become complacent is in the use of seat restraints throughout the flight. Injuries are often reported due to cabin occupants not being properly restrained, especially during turbulence. Not only could this cause injury to pilots, but it could also result in the loss of aircraft control. In addition to posing a threat to the cabin crew, failure of passengers to continue wearing seat restraints may result in injury during rough periods of flight, making it critical that part of every pilot safety process should include proper seat restraint for all passengers and crew throughout the flight. Pilots should be sure that cabin crew seats are on the seat tracks and in locked position. It is also important to check any aft seats in the aircraft to be sure that the seat stop pins are engaged before takeoff and landing. It is the pilot’s responsibility to ensure the aircraft is properly serviced prior to each flight. This includes ensuring that the quantity of fuel is adequate, that proper fuel system checks are complete, and that fuel in the tank has been properly sampled. In addition, it is a critical part of pilot safety to be sure that the fuel cap is secure to avoid fuel syphoning during flight, which could interfere with the operation of the fuel quantity indicator. An understanding of fuel pump operation is another factor that must be included in pilot safety. Understanding the operation of the auxiliary fuel pump, the risks of excessive fuel vapor, and the differences between the fuel pump operations of carbureted engines, TCM fuel injected engines, precision/Bendix fuel injected engines, centerline thrust twins, and multi-engine planes is important. 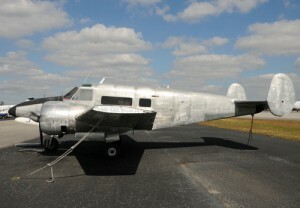 Some aircraft incorporate auxiliary fuel tanks to increase the range and endurance of the airplane. If a pilot plans to use the auxiliary fuel tanks, the main tank must be used for at least 60 minutes of flight if the plane has a 40-gallon auxiliary tank, or 90 minutes if the auxiliary tank is a 63-gallon tank. This pilot safety feature allows enough space in the main tanks for fuel vapor and fuel return from the engine. Failure to do so could result in fuel overflowing through the overboard fuel vents, or lead to fuel in the auxiliary tanks being depleted sooner than expected. 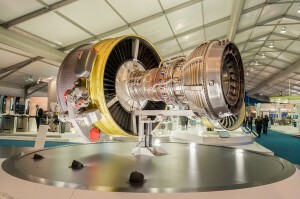 Vacuum Power Failures – In some cases, an aircraft has a backup vacuum system in the event the primary system malfunctions. When a plane does not have a backup system, the pilot must rely on partial instrument panel operation, which includes monitoring several indicator gauges and lights on the panel. If the pilot suspects that the vacuum system is not operating properly, pilot safety requires that the plane be landed as soon as possible for repair. Electrical Power Failures – Operational handbooks provide emergency procedures should the aircraft lose partial or total loss of power during flight. Early detection of an electrical power failure is critical for the pilot to maintain control of the aircraft. Loss of Pitot/Power Sources – If the pitot tube ram air inlet becomes blocked, the aircraft airspeed will drop to zero, and if the blockage cannot be removed in flight, pitch attitude and power settings must be used by the pilot to maintain reasonable airspeed. Therefore, pilot safety requires that the pitot tube, drain hole or static port be inspected thoroughly pre-flight to avoid such an emergency. Many pilot safety recommendations are designed to prevent in-flight fires, which must be controlled as quickly as possible. It is critical that a pilot not become so distracted by an in-flight fire that control of the airplane is lost. Another in-flight emergency that can greatly affect pilot safety is the opening of doors in-flight. In the case of an accidental door opening during flight, it is critical the pilot remains calm and undistracted by the shock of a sudden loud noise or increase in noise level, as this can result in loss of control of the aircraft. All of these pilot safety features are critical to safe flight for passengers, the crew and the aircraft itself. In addition to these important safety checks, the pilot must be familiar with carburetor heat and induction icing, alternate air for fuel injected engine icing, the possibility of carbon monoxide contamination in the aircraft, and the operation of turbochargers if they are present. 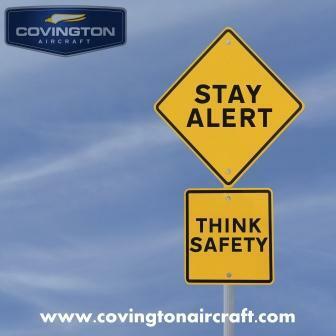 For more information on pilot safety, visit us at www.covingtonaircraft.com. Follow us on LinkedIn and Twitter to stay up to date on the latest aviation news. The Spitfire pilot flies a very similar plane to the Hawker Hurricane, even though the aircraft were built by different companies. The Spitfire, designed with a focus on the highest technology available at the time, was designed by R.J. Mitchell, chief designer at Supermarine Aviation Works, a subsidiary of Vickers-Armstrong. The Spitfire’s inaugural flight took place in March 1936, and was introduced into the Royal Air Force in 1938. The Hawker Hurricane, built by Hawker Aircraft, flew its first flight in November 1935, and was introduced into the Royal Air Force in 1937. Although the Hurricane became renowned during the Battle of Britain and accounted for 60 percent of the Royal Air Force air victories in that battle, the Spitfire is a more well-known aircraft. Spitfire pilots agreed that the plane provided superb maneuverability, while the Hurricane’s maneuverability was just “good.” The Spitfire was armed with four .303 machine guns and two 20mm cannons, while the Hurricane carried four 20mm cannons. During the Battle of Britain, there were 32 squadrons of Hurricanes compared with only 19 squadrons of Spitfires, yet the Spitfire is the better known of the two planes. Many Spitfire pilots claimed that the plane was like a thoroughbred, and reported that the plane was more responsive than the Hurricane. During the Battle of Britain, Spitfire pilots were renowned for defending Britain against the Luftwaffe, with the Spitfire intercepting German fighters, while the Hurricane concentrated on the bombers. The Hurricanes, considered the workhorse of the RAF, executed corkscrew dive maneuvers which the German planes found difficult to counter. The Spitfire pilot, due to the plane’s thin cross-section elliptical wing, could fly at higher speeds than the Hurricane, allowing it to maneuver deftly against German fighter planes. One benefit the Hurricane had over the Spitfire was that the Hurricane had a wooden rear frame covered in fabric, making it easier to repair than the all-metal Spitfire. Guns in the Spitfire were further apart, and the guns placed toward the tips of the wings occasionally caused balance problems when fired. Spitfire pilots also stated that it was harder to see the ground from the cockpit due to the plane’s long, straight nose, while the curved nose of the Hurricane made it easier to see the ground in front of the plane. The Spitfire was retired in 1961 to the dismay of many Spitfire pilots. 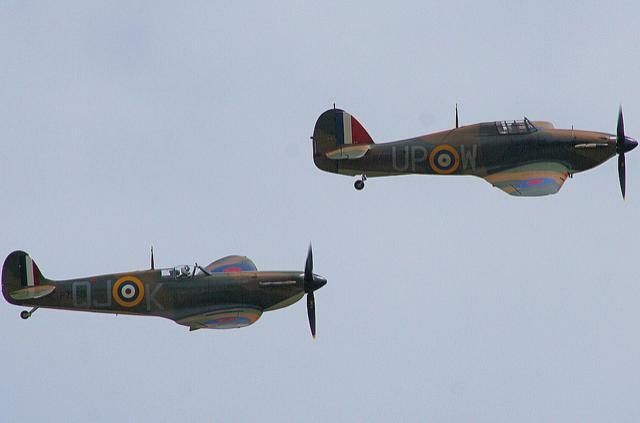 The Spitfire and the Hawker Hurricane were excellent fighter planes during their time. For more information on these aviation marvels, visit Covington Aircraft. Even the most seasoned licensed pilots can always learn tips to be a better pilot. From the novice to the professional, learning new ways to improve flying ability is crucial to ensuring safe flights and enjoyable experiences for passengers. These simple tips can keep pilots flying high for many years to come. Perform every pre-flight check as though you will find something wrong. Doing so ensures a more thorough flight check, and may prevent oversight of a problem. If you’re uncertain whether all systems have been checked, do them again in order to be a better pilot. Let your posterior tell you what the plane is doing, by keeping the ball centered. This helps you be a better pilot as the plane flies in a more centered line, providing a better flight. One suggestion to be a better pilot is to put a copy of your POH in your stack of bathroom literature. There is something to be said about reviewing information while you are a captive audience. Pilots have the basic understanding of how an airplane flies, but to be a better pilot, it is important to understand the many aerodynamic factors that go into the flight of an airplane. Understanding aerodynamics will put you more in touch with the plane. It is crucial to make every flight a learning experience, especially if you get less than 35 flight hours per year. Include a few different types of landings or figure the ETA in your head in order to be a better pilot. The primary instrument for airspeed and control in a light aircraft is nose altitude. The nose tells you what the airplane is going to do next, while the go-fast gauge just repeats what the nose just told you. To be a better pilot, always know what the nose is telling you. Never be ashamed to ask for help. 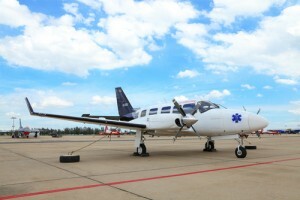 Pride has probably killed more pilots than any other factor, so if you are not sure, seek help. People develop bad habits through the years, and that is why the FAA requires BFR, airline flight checks, and other programs designed to double check the pilot. Try flying with an instructor once per year, focusing on pattern work, as that uses every flying skill except navigation. Take an instructor out and land on the shortest runway in in area, as landing on the real thing is far better than simulations. Runway numbers tell you where you are going to touchdown on the runway. If the numbers move down the windshield, you will go over them. If the numbers move up the windshield, you will land short. Keep the numbers stationary in the windshield in order to control your touchdown point. Another way to be a better pilot is to repeat often, “RPM, Altitude, and Attitude.” This will remind you to check the power, watch the altitude and pay attention to the nose. Rushing will cause you to make mistakes, so if you begin to feel rushed, stop, take a few seconds and slow down. To be a better pilot, you want the airplane to go exactly where you want it to go, and not approximately where you want it to go. Therefore, it is crucial to strive for perfection in airspeed, altitude and position. Look over the nose once you are on course and pick out a geographic feature in the area where you want to go, flying toward it, as opposed to focusing on the GPS. Make changes in attitude, power, and configurations using small nudges as opposed to one big change. This helps you be a better pilot because there is less chance of overshooting a position. It is impossible for even the best pilot to know everything, and there will be times when something happens that you don’t understand. If something makes you uneasy or looks unfamiliar, look it up or ask about it. There is no question that to be a better pilot, you must plan ahead, but planning ahead means different things at different times. To be a better pilot, make at least every third landing a touch and go. This adds another five minutes to your log book and increases proficiency. 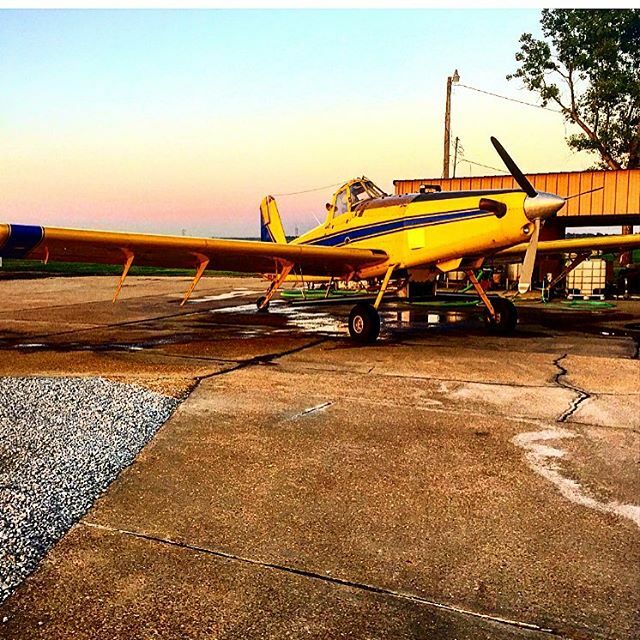 In addition, make one of every five landings on a short or soft field for additional practice. To make landings more accurate, try to touch down in the first 600 to 800 feet of the runway, no matter how long it is. This will minimize the need for braking and prepare you for runways that are shorter than usual. Instrument tickets teach precision and a better understanding of the airway system, but it is important to either use the skill often or not at all, as it is not something you can ignore and then decide suddenly to use. Try not to become airport-specific by seeking out new airports for landing. This builds skill and adaptability. Although not truly a necessity, a tailwheel endorsement improves your flying skills and opens the door to a new breed of airplanes. Like the tailwheel endorsement, this is not necessary, but three hours of aerobatic instruction will increase your confidence and make you a safer, more aware pilot. Put yourself in airplane mode before you leave home in order to focus completely on flying. Go out with an instructor and face the nastiest crosswind you can find, as crosswinds are a problem for almost every pilot. With these simple tips, you can be a better pilot and provide a safer, more enjoyable experience for yourself and your passengers.